We are delighted to have been able to contribute an illustration to Dwell’s October 2013 issue. 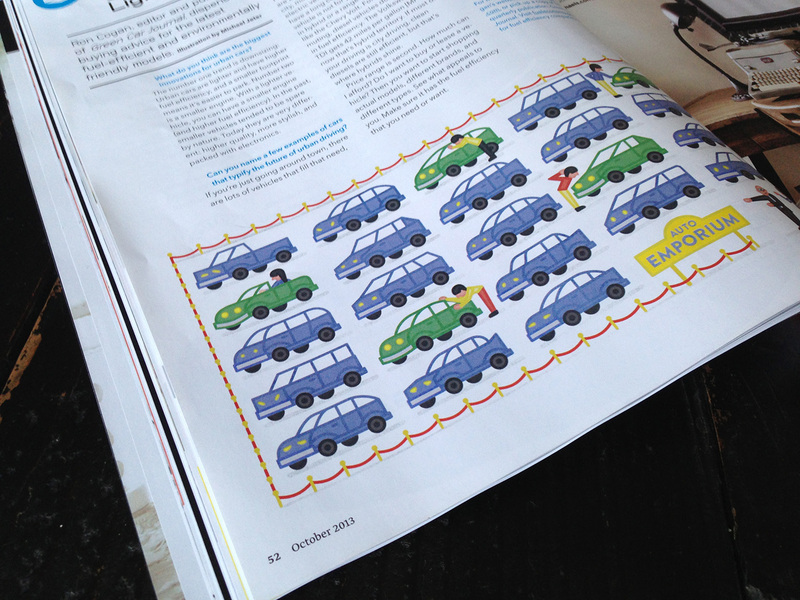 We were asked to illustrate an article about how to decide what green car to go with when car shopping. 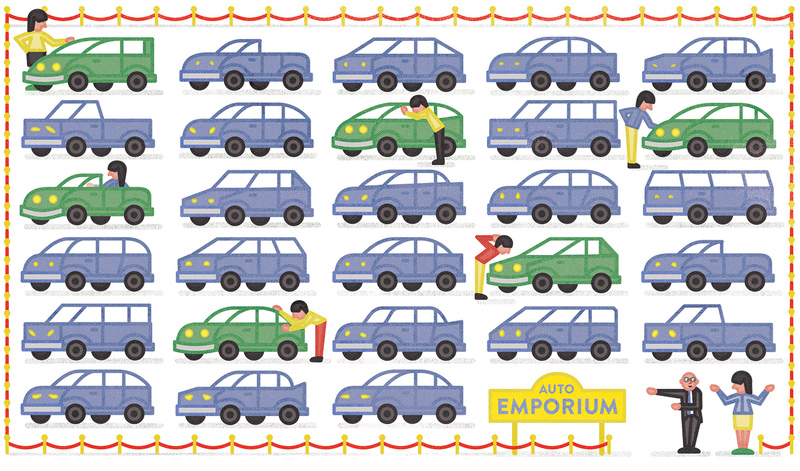 We wanted to show the daunting number of cars on a lot. And even if you narrow the choice down to a green car, which one? This dwell article will help you make that decision.